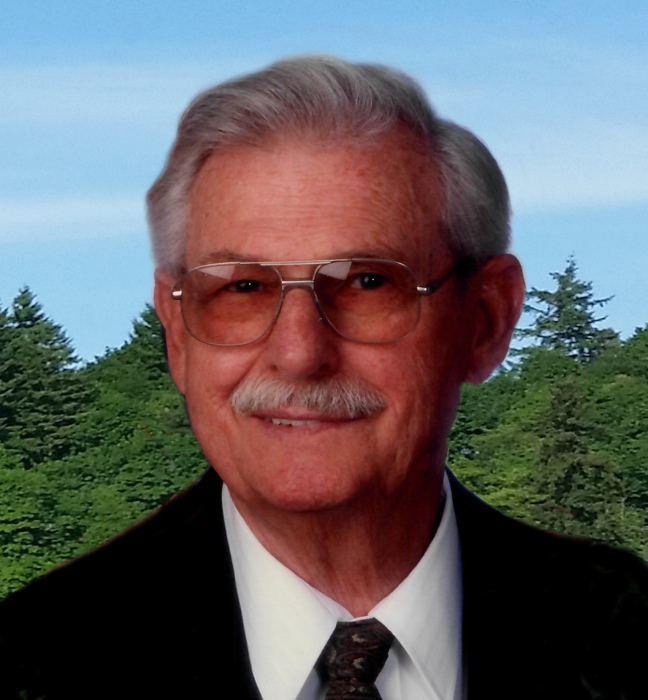 Chehalis resident Henry Herbert Gilmon "Hank", age 92, Left his earthly home and entered heaven on January 31, 2019. Henry was born on November 24, 1926 to Charles and Hazel (Syfert) Gilmon in Pine Ridge, Oregon. The youngest of four children, the family moved to Lewis County in 1932. He graduated from Chehalis High School, Served as a Merchant Marine and served in the Air Force. He worked many places when he was just starting out including Henry Date Sawmill, Kosmos Lumber Company, Fitz Logging Company, and Green Hill School. He married Marilyn Richardson in 1950 and raised their family together. In 1952, Henry became a Transportation Officer for the State of Washington. He retired after 29 yrs in 1981. Henry was an Avid outdoorsman who loved hunting (especially with his bow), fishing, and camping with family and friends. He loved poetry and would recite his favorite ballads around the campfire. He enjoyed music and played the accordion when he was younger. Later he played his harmonica always carrying it with him to play wherever he went. He especially liked to play for children. In 1980 he became a Christian, placing all his faith and hope in Jesus Christ. He faithfully served his local church and served as a teacher in the adult sunday school class. He used every opportunity to tell the Gospel story to friends and all those God put in his path. His sense of adventure led him to attend school in Astoria earning the 25-ton Mariner Commercial License just before his 70th birthday which allowed him to charter fishing boats in Alaska. Henry is survived by his loving spouse of 68 years; Marilyn, Four Sons; Barry Gilmon, Jeff Gilmon, Brian Gilmon, and Jay Gilmon, and daughter; Wenda Tutterow. He was preceded in death by his father; Charles Curless Gilmon, and his mother; Hazel May Gilmon. The family will gather for a private Graveside Service with Military Honors. A Memorial Service for friends and family will be held at the Apostolic Faith Church, 196 NW Cascade Ave., Chehalis, WA. on Friday February 8th at 11:00 a.m. with a reception following the service.